Learn all you need to know about Sensi Seeds' reputation, strain selection, seed quality, customer service, seed promotions, shipping, and more. Sensi Seeds is a household name within the marijuana industry and for cannabis enthusiasts everywhere. Based out of Amsterdam (the mecca of good weed), Sensi is basically a 420 celebrity. They have won countless Cannabis Cups and are well-known and respected everywhere cannabis is cultivated. 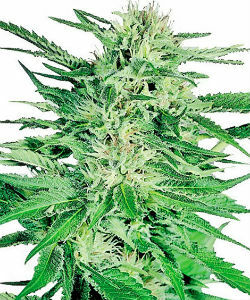 Their seeds can be a bit on the pricier side, but it’s well worth it because they are renowned for having the best, most high-quality cannabis seeds anywhere. See recommendations at the bottom of this page! They grow all of their own strains and sell them through their online shop – but only to customers within the EU. This is due to laws in countries that have been slow to legalize, and it means that non-EU customers often have to look for resellers in order to purchase Sensi-brand seeds. Buying from resellers can be risky in terms of quality and freshness of product, however, which is why there is a list of seed shop recommendations for non-EU customers at the end of this page. For those who do live in the EU, there’s a good reason why Sensi Seeds has become the largest and oldest cannabis seed bank in existence. Keep reading to find out why! The Sensi seed bank is simply legendary. Everyone who’s anyone in the cannabis industry recognizes the Sensi Seeds seed bank as the cream of the crop. Rarely is there such unqualified consensus among professionals, but once you try Sensi’s seeds, you’ll see how easy it is for them to agree on the matter. The only real flaw in Sensi Seeds is their not offering international shipping. If they could fix that single issue, they would easily become the seed bank of every grower’s dreams. Truth be told, it’s not completely their fault that they can’t offer worldwide shipping. They are interested in adding it once legislation in certain places changes, but until that happens, they prefer not to take any legal risks. The brand behind Sensi’s seeds is very well-established in the cannabis world. It’s likely the first brand name that new growers will hear tossed around. The company was founded in 1985 and has worked ever since to build a reputation for breeding their own strains to perfection and never settling for less. Their website has been translated into nine different languages (so far) just to be able to keep up with the international demand. If Sensi Seed reviews are any indication, if the company ever did start shipping worldwide, they’d likely have to scale up their systems quite a bit because the sudden influx of orders would be completely overwhelming. In short, Sensi is a well-loved brand that produces the highest quality seeds that are available on the market today. Sensi’s seeds are the Cadillac of cannabis, offering unparalleled excellence every time. If you never try them, you’ll definitely miss out. 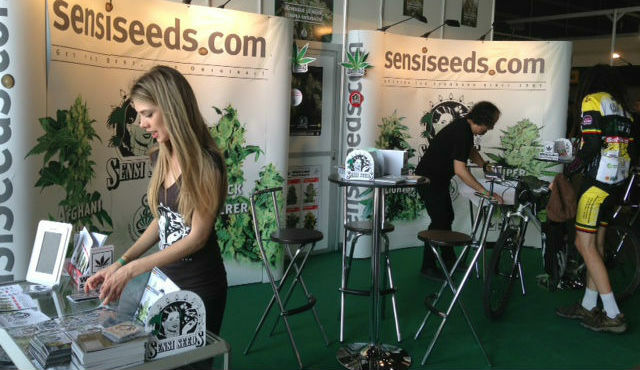 Sensi Seeds – A well-known brand, based in Amsterdam, shipping to EU countries only. This Amsterdam seed bank has a rich and interesting history behind it, which shouldn’t be surprising, considering the fact that they are the oldest as well as the largest seed bank on the market in 2019. A lot has happened in the several decades they’ve been in business, and it’s likely that a lot more will happen after 2019, as well. A few years ago, Sensi Seeds celebrated its 30-year anniversary – a level of longevity that is simply unheard-of in the relatively young cannabis industry. The Sensi seed bank was founded by Ben Dronkers, who is also the founder of Amsterdam’s popular Hash, Marihuana & Hemp Museum located within the Red Light District. In 1975, Ben started growing his own cannabis plants and saving any seeds he found intermingled with a particularly good batch of weed. Along with his new hobby came the desire to collect and categorize all the seeds he was using (for posterity). 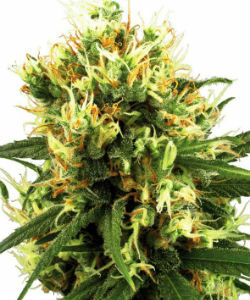 This desire also led him to the discovery that genetics were some of the strongest indicators of whether a particular plant would turn out to have a good yield of quality bud or a disappointing harvest. He learned from other farmers that the genetic makeup of the strain and seed was the most critical piece in ensuring a good crop. If your seeds didn’t have strong and healthy genetics, there was little you could do in terms of cultivation methods during your grow that could make up for it. Armed with this new knowledge, Ben made it his mission throughout the late 70s and the early 80s to travel the world, collecting seeds straight from the source of some of the most beloved cannabis strains. Once he had gathered his core collection of seeds, he turned his focus to breeding and crossbreeding them to create a range of new hybrids. By using strains from all over the world, he was able to crossbreed strains that had never so much as been in the same room together before, and in doing so, create a multitude of new hybrids that were genetically stable and botanically unique. By 1985, he had cultivated enough new strains that he decided to open up a shop to sell his seeds, and Sensi Seeds – the first all-inclusive Amsterdam seed bank and grow shop – was born. Within the first 10 years of operation, Sensi Seeds’ modest 20 strain offering had doubled to 40, a growth trend which has continued to 2019. Even as new strains and hybrids like Jack Herer were rapidly being developed, Sensi made sure to preserve old favorites such as Northern Lights #5 exactly as they were. Meticulously-detailed records were also kept of each step in the creation of the new hybrids, including plant genealogy and interrelations. This good record-keeping ensured that results would always be traceable and reproducible. Over time, Sensi Seeds has continued to grow, taking over a few other seed banks when their owners retired and always striving for excellence. This is how they became the largest (and oldest) Dutch seed bank in the industry, and it’s how they got where they are today. The seed selection at Sensi Seeds is phenomenal. It’s no surprise why, given how focused the founder was on exploring new strains and crossbreeding combinations. They offer regular seeds, feminized seeds, and autoflowering seeds, and are on the cutting-edge of medical marijuana strains, constantly researching new ones to add to their collection. Their website allows you to filter your search results by seed type, price range, expected yield, climate zone, height, and flowering time. You can even search by indica/sativa blend, with options like pure sativa, pure indica, mostly sativa, and mostly indica. Don’t miss out their Cannabis Cup winners, like Jack Flash #5, Shiva Skunk, Big Bud, Silver Haze, Northern Lights, Northern Lights #5 X Haze, and Jack Herer. This level of search customization is very helpful considering their large variety of strains. Without it, customers would be stuck looking through page upon page of listings – a good problem to have, but still time-consuming. Robust search tools allow you to narrow down the results to exactly what you’re looking for. However, if you’re not looking for anything in particular, you could easily spend half a day just browsing through all the descriptions. In addition to cannabis seeds, Sensi also sells a variety of other products including instructional materials, branded merchandise, vaporizers, and medically-focused CBD products. It’s already been said, but there is little a customer would need to worry about in terms of quality when buying Sensi Seeds. They are respected and sold almost everywhere for a reason. The products from Sensi seed bank will give you the best growing experience you could ask for, as well as a premium finished product. There is simply no brand out there (as of 2018) that can deliver a more high quality product than Sensi Seeds. It’s high praise for an impartial review, but it’s very true- and once you try them, you’ll be convinced too! Customers on the hunt for Sensi Seeds promo codes, sales, and discounts will be sad to learn that Sensi seed bank rarely has any sales or promotional discounts. Although this is disappointing for the grower on a budget, these seeds would be worth it at almost any price. A good recommendation is buying your favorite seeds directly from Sensi Seeds and supplementing with strong strains from seed banks such as MSNL if you don’t have much to spend. 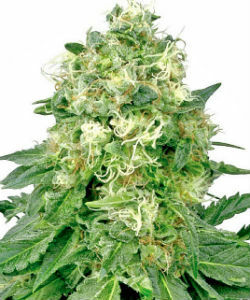 If you can afford to save up, however, Sensi Seeds comes highly-recommended. You’ll rarely find customer service being talked about in forums discussing Sensi Seeds because customers so rarely have problems with their orders. However, rest assured that the customer service team is on point. They are available to assist you with whatever you may need on weekdays from 9 to 5 CET. You can contact them by phone or email with questions, comments, concerns, or even compliments – whatever the case may be. Of course, if you live locally in the Netherlands, you could always simply walk into their shop and speak to a sales associate. Shop hours are from 10am to 10pm every day. Sensi Seeds website has many tools and features to make your shopping experience easier and more pleasant. The web designers really put a lot of thought into how people would use the site, and anticipated their needs. They make it easy to find exactly what you’re looking for if you have something specific in mind, but also easy to browse when you’re just taking a look around. The listing pages all have detailed descriptions of that particular strain, along with plenty of reviews from real people. There is so much information available on each strain that you could easily spend days perusing all of these listings if you really wanted to. You would definitely end up with a ton of knowledge! If you don’t see the information you need right away, there’s also a forum where you can go to discuss Sensi Seeds with other customers. Many people wonder how it’s possible to get Sensi seeds shipped to them if they live in non-EU countries. The answer is simple. 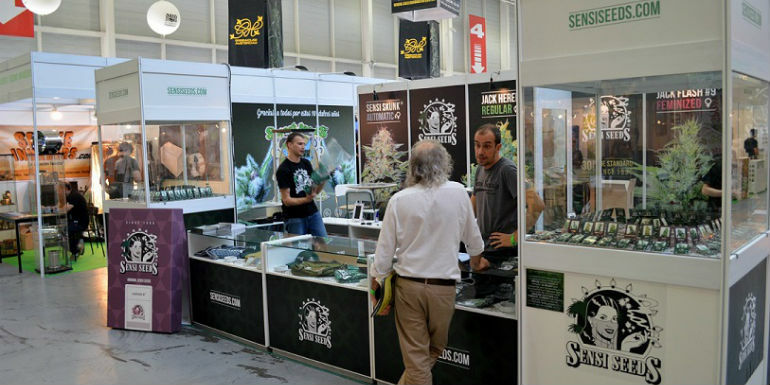 Other seed banks and distributors know of Sensi Seeds’ popularity and how much demand there is for them in other countries outside of Sensi’s EU shipping range. Because of this, many shops are more than willing to buy directly from Sensi and then offer their seeds for sale on their own websites. Many seed banks have a large banner on their homepage advertising the fact that they sell Sensi seeds. All you have to do is find a distributor that resells Sensi’s seeds and ships to your country, place your order, and enjoy! Read recommendations for non-EU customers at the bottom of this page! Of course, there are certain risks that come with ordering seeds secondhand from a distributor, rather than directly from the source. For one thing, the seeds may not be as fresh as they normally would have been. It’s also important to be able to trust your supplier to not rip you off and send you poor quality seeds instead of what you paid for. Because of all this, you need to find a reputable reseller that takes pride in their work and has a good customer service team, just in case something does go wrong with your order. As you well know by now, seeds can only be shipped within the EU. However, certain non-seed products, like CBD oils, educational materials, and apparel or other merchandise can be shipped to more countries. There is a detailed map on the Sensi seed bank website that shows where certain items can and cannot be sent as of %%currentyear.%% All orders are processed and shipped out within one business day of receiving payment. Orders usually arrive at their destination within 2 to 10 days, depending on the speed of your local postal delivery service. Standard shipping charges are €7.50 within Europe and €12.50 outside of Europe. Optional insurance can be bought for €5.00 extra. Orders can be tracked through the “order status” page on Sensi Seeds website if you’ve made an account with them – so you’ll always know where your order is. As far as stealth, all orders are shipped in plain white bubble mailer envelopes with no advertising or logos present. It’s virtually impossible to determine what’s inside of these packages without them being opened, and they’re not likely to attract suspicion since they are very discreet. Payment options include Visa and Mastercard, bank transfers, or cash. Unfortunately, Sensi seed bank does not accept payment by check, Bitcoin, PayPal, or international money order. Of the available payment methods, credit card payments will be processed the fastest while mailing in a cash payment will of course take longer. If you do decide to pay in cash for the sake of anonymity, or for any other reason, be sure to send the parcel via registered mail and send the amount due using only paper money – no coins. You may have to round up, if necessary. As always, remember that sending money through the mail is not a sure thing, and there is a chance that it will not make it to its destination. Should this happen, Sensi Seeds is not liable. No matter which payment method you use, you can track the status of your payment in the order status page of your account (if you’ve made one). 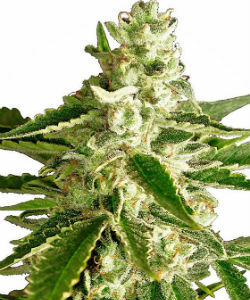 Sensi Seeds is the Amsterdam seed bank that everyone knows and loves. They have a wide and varied selection, spotless reputation, intriguing history, and a user-friendly website. Their customer service and product quality are both top-of the-line. Their one drawback is a lack of worldwide shipping. If you live within the EU where Sensi ships, it’s a no-brainer to buy your seeds from them. For those of you outside of the EU, however, things get a bit trickier. Yes, you can buy Sensi seeds from other distributors, but there is always a chance that you will choose a bad reseller and get ripped off. You might also simply buy from another highly-recommended seed bank. 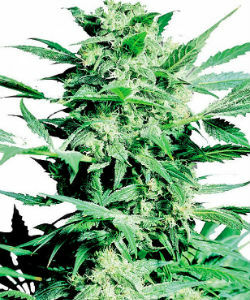 Marijuana-Seeds.NL (MSNL) – This British seed bank is a high quality seed breeder with a large variety of strains. They have a great customer service team as well as worldwide stealth shipping and awesome promotions. Payment options are Bitcoin and credit cards, free seeds are given with every order. 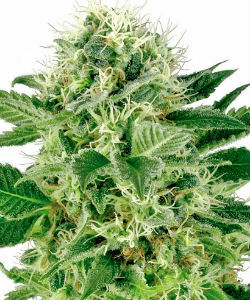 Crop King Seeds – Crop King may not have as wide of a variety as MSNL, but what they do have is very high quality. 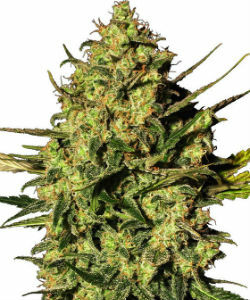 They have an impressive germination guarantee that will give new buyers peace of mind, as well as a friendly customer service team and worldwide stealth shipping. Payment options are Bitcoin, PayPal, and credit cards. Ministry of Cannabis – This seed bank based out of Barcelona, Spain, has spent years breeding an exclusive number of strains to perfection – from tried-and-true favorites to exciting new strains. Ministry of Cannabis ships worldwide and accepts payment in Mastercard, Visa, Bitcoin, bank transfer, moneygram (for orders of €100 or more), or cash.